Those arguments were put forward despite evidence that the multi-story signs have broken loose in some cases, although no evidence of injuries or property damage has been put forward. The latest example illustrated in the photo above came just last week, after a storm with gusty winds blew through the L.A. area. 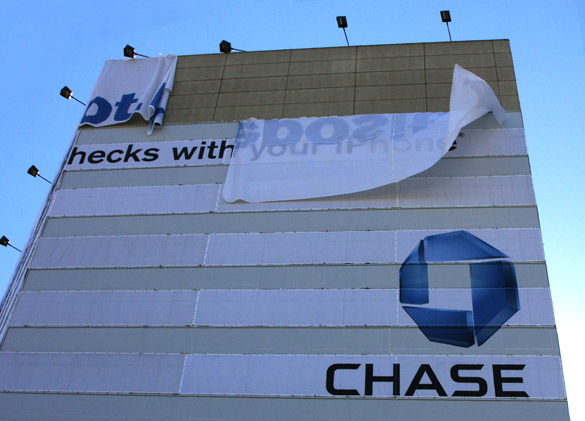 The office building near LAX is less than 200 ft. from the heavily-trafficked 405 freeway, and one might reasonably ask what could have happened if the fabric of the sign had torn completely loose and blown out onto the freeway.